1. If there is dirt on your car, the paintwork under it is safe. 2. When you do cleaning, you start easily sweat. Sweating people are not "clean". 3. 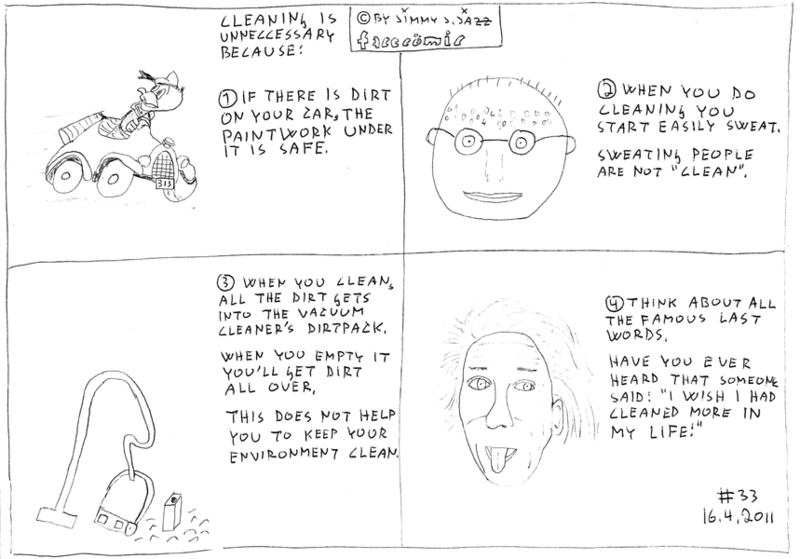 When you clean, all the dirt gets into the vacuum cleaner's dirtpack. When you empty it you'll get dirt all over. This does not help you to keep you environment clean. 4. Think about all the famous last words. Have you ever heard that someone said: "I wish I had cleaned more in my life!"